San Antonio resid ents and visitors who are found in possession of marijuana by the Bexar County Sheriff’s Office may be eligible for a new “cite and release” program that the Bexar County District’s Office has initiated. The program is currently in its trial phase and currently only working with the Sheriff’s Department. Individuals who are eligible would be entered into a pretrial diversion program and ordered to pay a $250 fine, any restitution, perform eight hours of community service, take a course and provide a urine sample. The stipulations of the program are not entirely clear, however, and there is no indication what would happen to an offender if they fail to complete the pretrial diversion. Other pretrial diversion programs implemented by the Bexar County District Attorney’s Office come with an agreement that if the offender does not finish the program, a guilty plea is entered on their behalf. This program also allows an officer to use his discretion in who will be arrested and taken to jail and who will be cited and released on the scene. 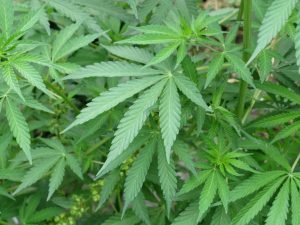 Possession of marijuana in Texas can have some serious consequences. Possession of 0-2 ounces is a Class B misdemeanor with a possible punishment of up to six months in jail and a fine up to $2,000.00. Possession of 2-4 ounces has a possible punishment of a year in jail and a fine up to $4,000.00. There are severe collateral consequences as well. For example, someone convicted of misdemeanor possession with have their driver’s license suspended. Some offenders who are convicted may not be able to receive federal financial aid. Currently, the Bexar County Sheriff’s Office maintains a Canine Unit consisting of five handler officers and seven dogs. Some of the dogs are patrol dogs, some are bomb detection dogs, and some are narcotics detection dogs. 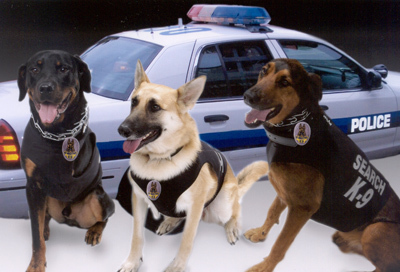 Canines trained for the narcotics division are used to detect the scent of marijuana, heroin, methamphetamine, and cocaine. According to the Sherriff’s Office, the dogs can locate drugs in houses, cars, and even buried underground. In the case of Florida v Jardines, (Oral Argument Transcripts) the defendant maintains that a warrantless “sniff test” by a dog at his home with live plants inside violated his right against unreasonable searches. Was a trained narcotics canine sniffing at a front door to a private residence a search under the Fourth Amendment and therefore a violation of privacy? The defense argues that the “sniff test” should have been conducted after there was evidence of a crime. In the case of Florida v Harris, (Oral Argument Transcripts) a valid traffic stop for driving with an expired registration tag resulted in a warrantless search of the defendant’s truck. The police officer had his dog, Aldo, sniff the outside of the truck. Aldo “alerted” at the door handle and the officer searched the vehicle’s interior. The officer admitted at the trial that the dog can pick up lingering “residual odors”. Does an “alert” from an odor that could have been lingering for an unknown amount of time result in probable cause for a subsequent search? More Border Patrol Legislation May Be On the Way — Will this Effect Traffickers operating in San Antonio and around Texas? June 16, 2011 – A bill has been introduced by Dianne Feinstein (D.-Calif.) to prosecute people who finance or construct border tunnels. The bill also includes illegal tunneling as an offenseeligible for Title III wiretaps. •	Specify border tunnel activity as unlawful under the existing forfeiture and money laundering provisions to allow authorities to seize assets in these cases.